'Same Home Town' is dedicated to the Dux De Lux, in Christchurch - the first of many Otautahi venues to host the band in their infancy back in 1993. It will be released digitally on Fri 18th October 2013, with a 12" Vynl* with remixes from good friends Dub Fx, Organikismness plus Tui Soundsystem's remix of 'Thats What I Want' to follow. Salmonella Dub was formed in 1992 by guitarist Andrew Penman, drummer David Deakin and Mark Tyler. Over the past 20 years Salmonella Dub has commanded concert halls and stadiums at home and across Britain, Ireland and Australia and have won a loyal following for their ambitious shows. They released their self-titled debut in 1994, followed by 1997's Calming Of The Drunken Monkey - which recently has gone gold, they then launched their golden era with the platinum selling album Killervision in 1999 and it was a remarkable run from there; Inside The Dub Plates two years later went triple platinum, Outside The Dub Plates in 2002 went platinum, 2004's One Drop East double platinum and 2007's Heal Me also earned a platinum disc Freak Controller released in 2009 went gold in 2010. The band also released live album Feel The Seasons Change with the NZSO in 2009. 2014 will see the release of their 8th studio recording. 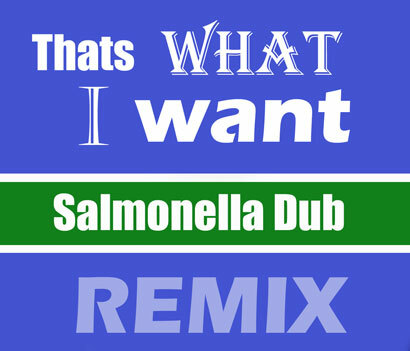 Join Salmonella Dub on Facebook here. Watch the official Video for 'Same Home Town' here.